It’s not easy keeping tiles clean, especially since the grooves and spaces between the tiles are the perfect gathering grounds for dirt, muck, and grime. Areas that are covered in tiles, such as counters, baths, sinks, and floors, are constantly at risk of massive dirt build-up. The problem with grout (the cement/paste portion that fills in the spaces between tiles) is that it soaks up filth like a sponge. Unfortunately, it is not as easy to clean. 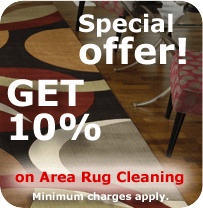 You may have tried several thousand solutions to deal with it, from so-called professional-grade commercial cleaners to different combinations of household substances, like white water and vinegar. Unfortunately, the results are probably the same; the grout is still gray, dingy, and covered in muck, and you’ve just wasted yet another afternoon trying to get them clean. Honestly speaking, the best way to clean grout is just to call a professional. There are dozens of homemade “recipes” out there for getting grout to come clean, but they’re often tailored to the person’s specific tile-and-grout combo of flooring, which means they will rarely—if ever—work for others. Some people recommend vinegar and baking soda but, again, it doesn’t work for everyone. Some even suggest using floor wax stripper, but that can often severely damage the grout (causing more harm than good). Professional cleaners are equipped with the necessary skillset, tools, experience, and certification to eliminate all the unnecessary filth between your tiles—and on your tiles as well. When it comes to keeping bathrooms and kitchens clean, Legacy Carpet and Upholstery Cleaning has the means and manpower to keep everything nice, shiny, and pristine. Prevents Moisture—although grout seems pretty solid, it can still be easily penetrated by moisture. Once the moisture works its way through the grout and gets under the tiles, it can damage the floor beneath the tiles—and even the tile itself. Your Grout Is Probably Sanded—there are two types of grout; sanded and epoxy-based. Epoxy-based grout doesn’t need to be sealed, as it naturally sheds water. Sanded grout, on the other hand, is the more common choice, and it definitely needs a sealant since it’s made of sand. So the next time you find yourself wondering what the best way to clean grout is, call Legacy Carpet and Upholstery Cleaning. Our professional cleaners and technicians can offer the best possible solution to fit the state of your tiles and grout, whether it’s for the kitchen or the bathroom. You’ll be left with tiles that’ll stay sparkling clean for a long, long time.